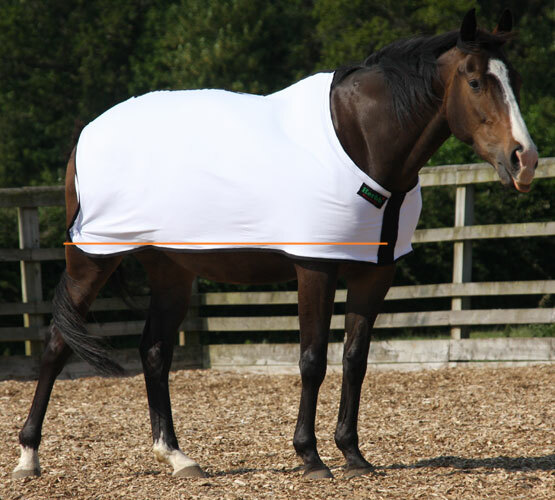 At Herbb we try to make ordering the correct size rug for your horse as quick and easy as possible. In the vast majority of cases you simply need to know the height of your horse or pony (in hands) and the length, from centre of chest to the buttocks, and that's all you need. We do recommend ordering 1 x size down, to fit neatly on the horse. If you've already purchased turnout rugs then you could also use the sizes from those, however, if you need a specific size or you are still not sure please get in touch and we will do our best to help. Most owners know the height of their horse but to measure the length we recommend using a fabric tape measure. Once you have the height and length you're ready to order. If you have a specific size we don't list, don't hesitate to contact us and we will endeavour to find a solution, or we can make your rug to your specific size requirements. If you have any questions please use our online contact form, online chat facility, or call us on 0033 243 132577. We're always happy to help.